The images which makeup this exhibition have been generated by a computer program which follows the behavior of some mathematical equations that represent complex dynamics using complex variables. The behavior of these equations is represented by the images where the black regions are zones of stability and order and the brightly coloured areas are zones of chaos. …When we view the images it is as if we are in the presence of something cosmic and familiar, and this is because many of the structures in nature and in our surroundings behave in a similar way. The coastline, the structures in biology and botany, the behavior of populations and economies, the meteorology, cosmology and the study of turbulence in air and fluids all have elements of chaos which is essentially what we can see in the images in this exhibition. “Behave in a similar way” –I like that. What we expect from a branching tree or a crack in the road is what we expect in fractal imagery because they’re following the same kind of rules and “behavior”. We are at home in both places because they are so much alike. 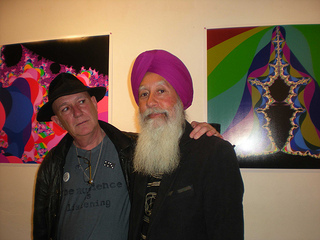 Arvinder Bawa and colleague, at the Sala Ruas gallery, Laredo, Spain. Well, what about it? 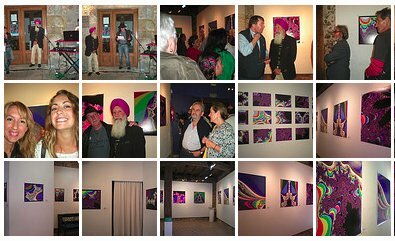 Why an exhibition of images that are so out of style in today’s fractal art world? I don’t think the Sala Ruas gallery sticks just anything up on their walls for visitors to look at. 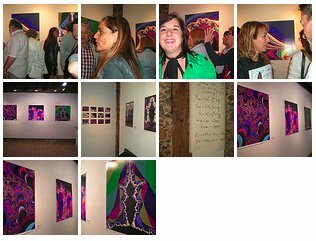 What did the curator of Sala Ruas see in these fractals that most of us, “up to date” fractal folks wouldn’t? (key word: most of us). There’s been a lot of talk in the fractal world about “Takin’ it to the streets” and introducing the rest of the world to fractal art. 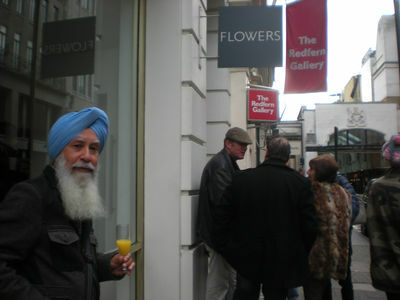 That’s supposed to be the whole idea around the BMFACs and yet Arvinder’s work is precisely the kind of “garish, 70s-style imagery” that the BMFACs hope to erase from the world’s memory. One thing I’ve realized from a decade of watching the fractal world is this: I think the fractal world understands the art world to the same degree that the art world understands the fractal world. That is to say, very little. We can laugh it up all we want about work like this but someone thought this was worth exhibiting in an art gallery. I wonder what they’d think about our fractal artwork? 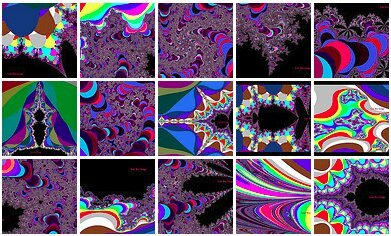 The fractal art world as a whole is as eccentric as the math and programming that goes into creating the imagery. 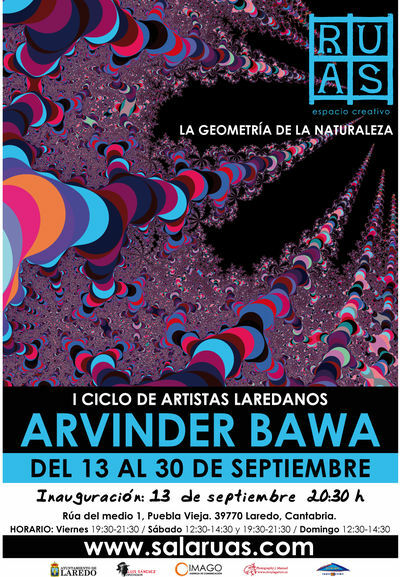 Arvinder Bawa is one of us because he’s found something in fractals worth looking at and drawing other people’s attention to. I can’t think of a better definition of “artist” than that.